School is starting and now is the time to plan for your chapter’s success! Young America's Foundation will host an activism training seminar on Friday, September 21 to Saturday, September 22, exclusively for Young Americans for Freedom chapter leaders from colleges and universities around the country. In addition, attendees will hear from conservative leaders including Fox News’ Steve Hilton and have a unique opportunity to tour Ronald Reagan’s beloved ranch, Rancho del Cielo. You will return to your campus with the tools necessary to effectively challenge both liberal and apathetic climates. 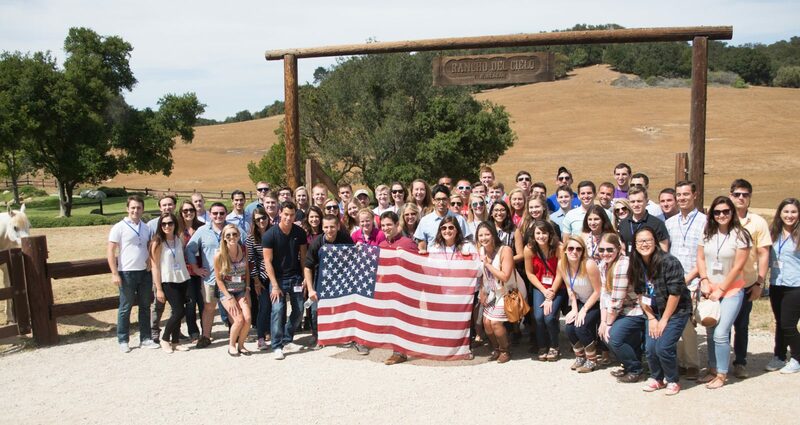 THE COST: There is a nominal registration fee for YAF chapter leaders and members of only $20! We will provide you with overnight accommodations for Friday night, all meals, and conference materials. Space is limited, and registration is on a first-come, first serve basis. Travel waivers are available for those traveling significant distance. Check-in for the seminar will take place on Friday, September 21 at Young America's Foundation Reagan Ranch Center located at 217 State Street, Santa Barbara, CA. You should arrive no later than 11:15 a.m., as the program will begin promptly at noon. The training seminar ends on Saturday, September 22 at approximately 12:00 noon. THE FAQs: Click here to read and/or download all the details. THE REGISTRATION: This training seminar is at capacity.